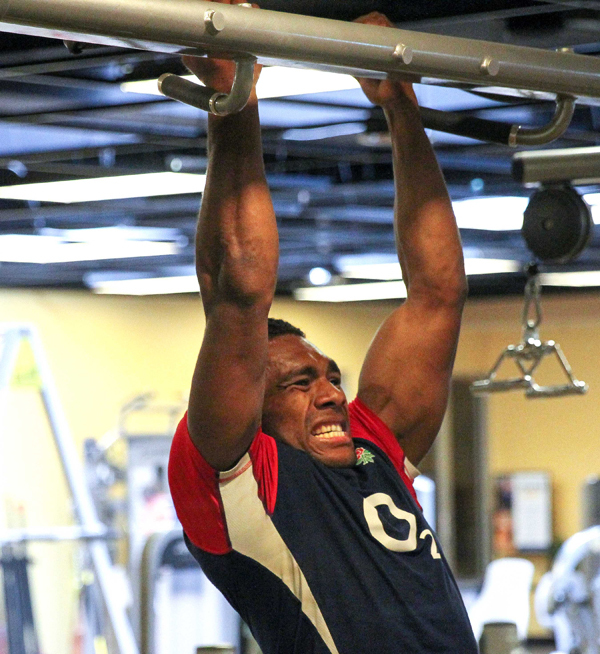 Semesa Rokoduguni (Royal Scots Dragoon Guards) has just returned from Denver Colorado where the England squad has been preparing for the Rugby World Cup at a pretty vicious ‘boot camp’. England Head Coach Stuart Lancaster’s men have been put through their paces with a ‘body breaking’ experience where only the fittest of the fittest will have survived. It is Lancaster’s intention to produce the best physically prepared team at the RWC which kicks off with England v Fiji at Twickenham on Friday 18 September. Before then there will be England ‘trial’ matches against France and Ireland where all the current squad will all get a ‘shout’. Roko’s aim up until now has been to impress strongly enough to be selected for the final England squad. He knows competition is fierce but no one will be up for the challenge more than Roko. He has the mental strength and physical stamina that, fingers crossed, will take him over the Irish and French lines and on to RWC15. Then the real business can begin . . .